It was an action-packed Wednesday as the 2018 World Series of Poker officially got underway. As the very first players began making their way into the halls of the Rio, social media feeds were flush with excitement. 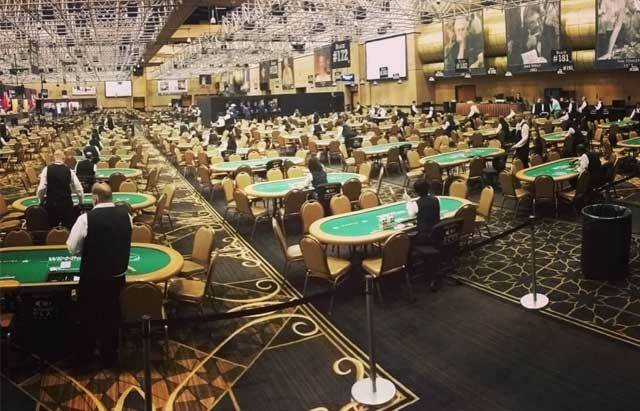 Poker’s biggest stage is open for business and the first days of action did not disappoint. The very first table of the 2018 World Series of Poker actually took place on Tuesday, May 29 as these ten eager grinders kicked off the series by registering for a $175 SNG in the Pavillion. One of the more popular side events in Las Vegas during the WSOP are the Daily Deepstacks held at various times daily the Rio. This year, the very first one was won by none other than 5-time WSOP bracelet winner Allen Cunningham. He adds over $14,000 to his $11.7 million in lifetime earnings. I just won the very first event of the WSOP: this year’s inaugural $250 daily deepstack. And the yogurt stand isn’t even up yet. Oh yeah. The first of two bracelet events got underway on Wednesday. The early event was Event #1 – the $565 Casino Employees event. 566 players entered to take their shot at the nearly $62,000 first place prize. If the old adage is correct, everyone loved this hand from Event #1. The first truly open bracelet event of the summer is Event #2 -the $10,000 Super Turbo Bounty NLHE. The tournament is guaranteed to payout the first six-figure scores of the summer. A nice addition for those putting up $10,000 was the debut of a nifty new chipset. The $10K price point pulled in 243 runners, including some of the most famous faces in poker. Do these players even know who they are dealing with? Former PocketFives Worldwide #1-ranked player Steven van Zadelhoff begins his grind in the sattys. Not everyone was splashing around in the poker action. Chicago Joey opted to take a shot at the questionably more lucrative Fortnite tournament scene.